Our guide to San Diego will help you find the best kid friendly parks in San Diego California. Although San Diego is the eighth largest city in the country, it's stayed true to its laidback surfer vibe mentality. If you're looking for trendy boutique hotels, an exploding culinary scene, and big-city nightlife, with a side of beach bum mixed in, you're in the right place! For families, San Diego is ideal. 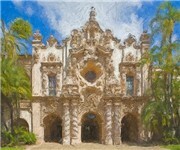 If world-famous destinations like the San Diego Zoo, SeaWorld, Belmont Amusement Park, and LegoLand (in nearby Carlsbad) aren't enough, families can take advantage of an abundance of museums, a children's theater, a puppet theater, and all sorts of other, lesser-known but no less entertaining attractions. With this much to offer, it's no surprise that tourism plays a major role in San Diego's economy. Other big contributors include biotechnology, agriculture, manufacturing, and defense-related industries. The US Marines and the US Navy maintain several bases in the county. There are tons of great kid friendly parks in the city of San Diego, our city guide will help you find the best kid friendly parks. You may have a hard time deciding what to do in San Diego, but we make your decision easy. 28th St & Upas St - Bird Park has swings, but no other playground equipment, and hosts an annual summer concert series. 3600 Clairemont Dr, (858) 581-9924 - The South Clairemont recreation center is a huge outdoor/indoor sports complex operated by the City of San Diego. Adams Ave & Bonnie Ct, (619) 293-4468 - This playground is located in a new park on Adams Avenue in San Diego. Aviary Dr & Cyn Lake Dr - Hoyt Park features a playground, picnic tables, walking paths, and a large grassy area. Lorirae Pl & Rimridge Ln, (858) 578-5140 - Camino Ruiz Community Park is a kid friendly park located in San Diego CA. State St & W Date St, (619) 233-3898 - Amici Park is a small park located in the heart of Little Italy. On many days, you can catch of a traditional game of bocce ball in action. W Pt Loma Blvd & Aly, (619) 557-5450 - A small playground in a city park. 1008 Santa Clara Pl, (858) 581-9928 - Situated on scenic Santa Clara Point, this is probably the best-located recreation center in the City of San Diego. 11238 Clairemont Mesa Blvd, (619) 448-4111 - The Tierrasanta Recreation Center is a huge outdoor/indoor sports complex operated by the City of San Diego. 615 Prospect St, (858) 552-1658 - What to do when you have children of various ages and abilities to entertain? Consider an outing to the La Jolla Recreation Center. 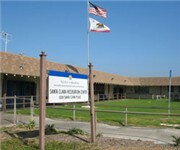 8175 Regents Rd, (858) 552-1612 - Doyle Park is a large outdoor/indoor recreation center operated by the City of San Diego. 7245 Calle Cristobal - Lopez Ridge Park is a kid friendly located in San Diego CA. 2920 Zoo Dr, (619) 234-3153 - San Diego Zoo is a kid friendly zoo / aquarium located in San Diego CA. There are plenty more kid friendly parks in San Diego. See all kid friendly parks in San Diego California.